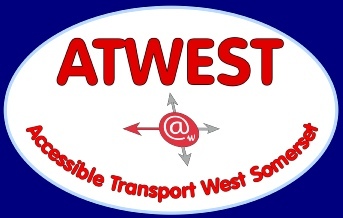 The Atwest Travel Club is open to any individual within West Somerset who is registered with Atwest. Membership is free but registered individuals can pay a £5.00 annual subscription which entitles them to receive the Travel Club Newsletter by post, giving them advanced notice of the latest Travel Club trips. The subscription fee is due on April 1st each year, though membership can begin at any time. There can be as many as five Travel Club trips each month throughout the County and beyond. We select venues to vary with the seasons. For example, spring sees visits to Snowdrop Valley, gardens, and garden centres. Summer visits include seaside towns such as Burnham-on-Sea, and cream-tea-and-tour visits to villages on Exmoor. Autumn and winter include trips for Christmas shopping to destinations such as Clarks Village, and lunch-and-tour visits to pubs on Exmoor. There is a charge on all trips which is payable before the day of travel. There may also be an entrance charge to some destinations, but all these details will be published in the newsletter. Please contact Atwest on 01643 709701 for more details, or to register with the Travel Club.